Borj-e Sefid Rooftop Revolving Restaurant, (the White Tower), 14th Floor, Borje Sefid Building, Pasdaran Ave, Tehran, Iran. +98 21 2255 4000 Windows specifically angled for maximum viewing of the city below. One revolution completed every 90 minutes. 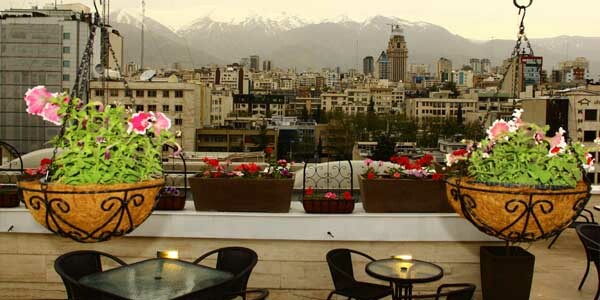 Rooftop Cafe, Tooba Apartment Hotel, 17 Naseri St (Valiasr St), Tehran 9821. +98 21 8820 7021 Coffee shop with hookah. VIP Restaurant, 5th floor, Milad Sky Tower (Borj-e Milad), Tehran Private Road (Passageway) of Milad Tower, Northern Angle of Hemmat Cross, Shahid Sheikh Fazlollah Nouri Highway, Tehran, Iran 12345. +98 21 8436 1000. World's 6th tallest tower. 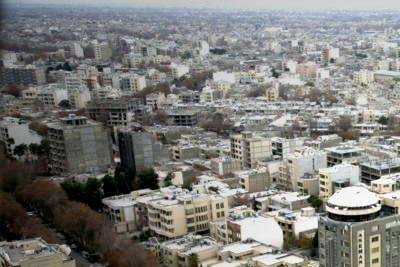 Built in between the Shahrak-e Gharb and Gisha districts of Tehran. Also Cafeteria. 12th floor revolving restaurant. Tehran Enghelab Hotel Rooftop Restaurant (Royal Garden), 50 Taleghani Ave, Tehran, Iran 15936. Four-star hotel with a rooftop restaurant. Setareh (Star) Restaurant, Aseman Hotel, Motahari St, Isfahan, Iran. +98 311 235 4141. Lunch 1pm–3pm. Dinner 8pm–10.30pm. Mosala Revolving Rooftop Restaurant, Isfahan. 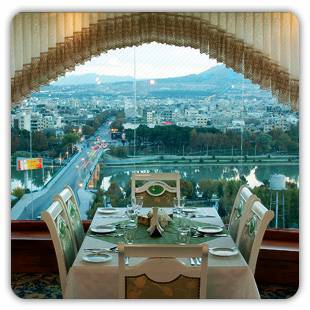 Lotus Restaurant, 13th floor, Pars Hotel, Zand St, Shiraz C.B.D., Shiraz. 233-2255. A beautiful view of Shiraz. Revolving Rooftop Restaurant, 11th floor, Pars Hotel, Tabriz El goli (At the end of Elgoli Rd), Tabriz, Azarbaijan, Iran. Beside the El Goli Park, on the hills southeast of Tabriz city, in East Azarbaijan Province of Iran. 160 people. Distance to the airport is 25 (20min) and to the railroad 25km (30min). Taxis are cheap. Bolour Tower Revolving Rooftop Restaurant, 6th floor, Tabriz, Iranian Azerbaijan. 180 people. Cheshm andaz Tower Revolving Rooftop Restaurant, Ramsar Mazandaran. Kish Trade Center Revolving Rooftop Restaurant, Kish Island. Abadgaran Hotel Revolving Rooftop Restaurant, Mashhad Parvin Etesami St., Kish Island, Iran. +98 764 442 2759. 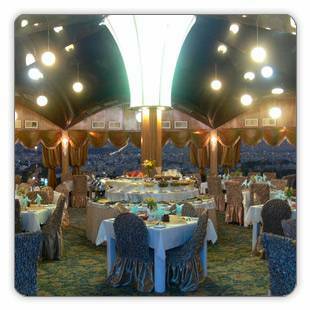 Emperor Restaurant Revolving Rooftop, Narmafzar Tower Restaurant, Ahwaz. Mahestan Shopping center Revolving Rooftop Restaurant, Karaj. Saeedi Center Revolving Rooftop Restaurant, Qom. Yademen Tower Revolving Rooftop Restaurant, Gorgan. Orient Hotel Rooftop Restaurant, Orient Hotel, Masjed-e-Jaameeh Mosque Street, 6th Alley Yazd, Old city, Yazd, Iran. +98 351 626 7783. Close to the famous 13th Century Jameeh mosque. Lunch and Dinner. Tasty traditional dinner on the rooftop with "the most romantic view in all Iran". Vafaei Industrial Factory has designed, manufactured, installed and put into operation revolving restaurants since 1993.